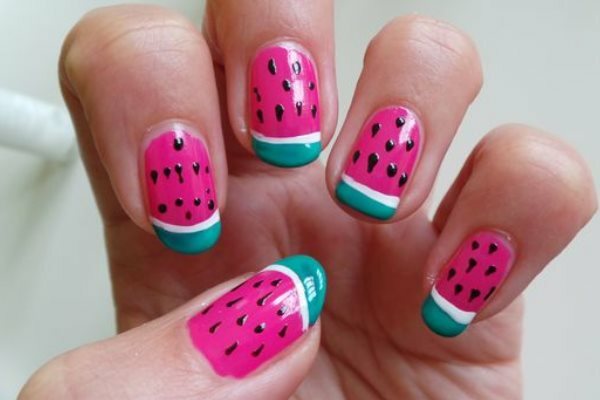 Summertime is a time for sun and fun, picnics and cookouts..and watermelon, of course! 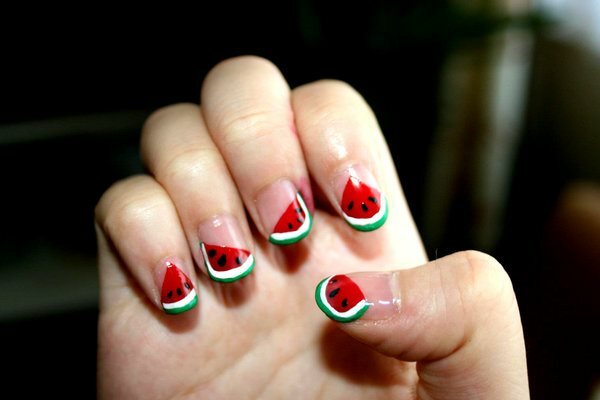 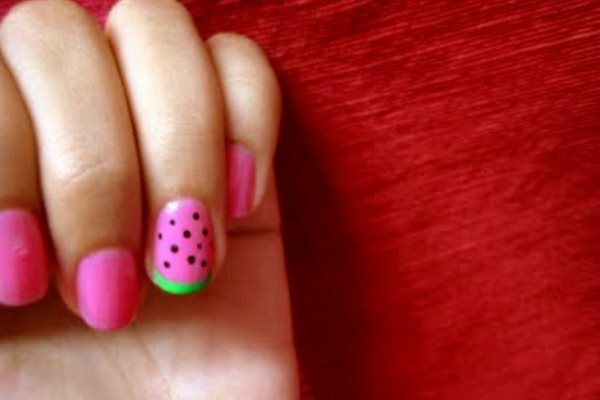 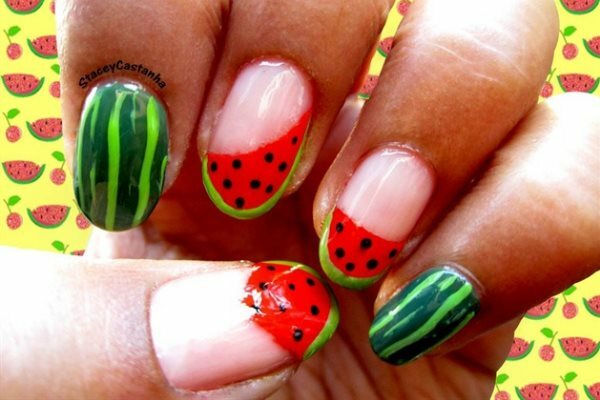 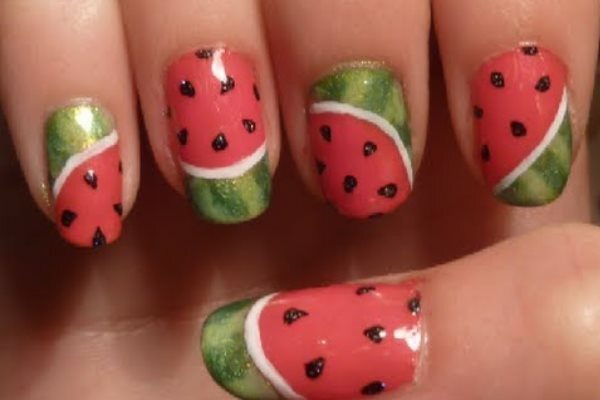 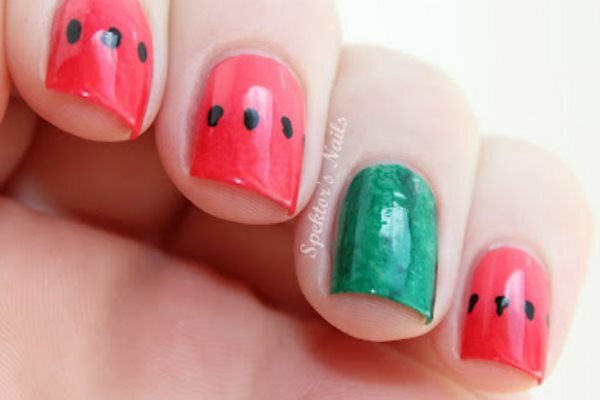 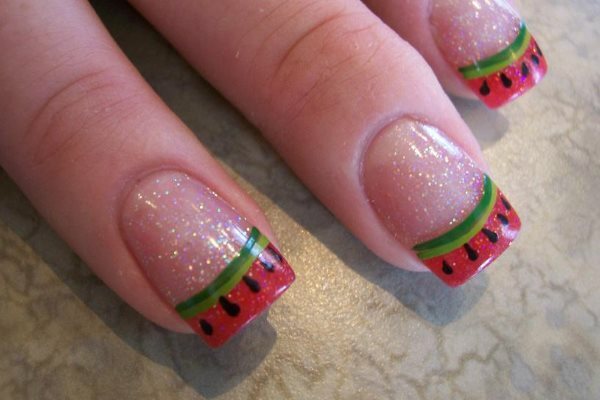 A fun summer nail art design, watermelons are cute, colorful, and fun! 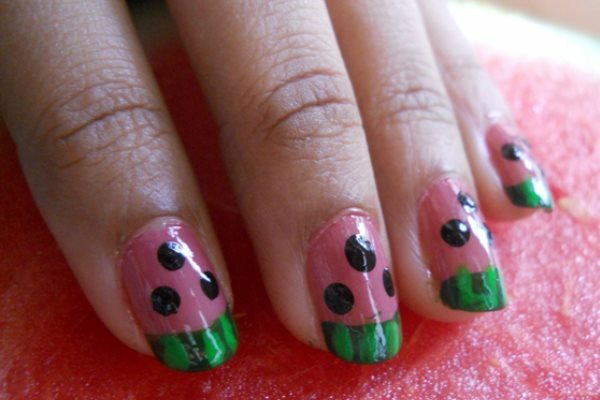 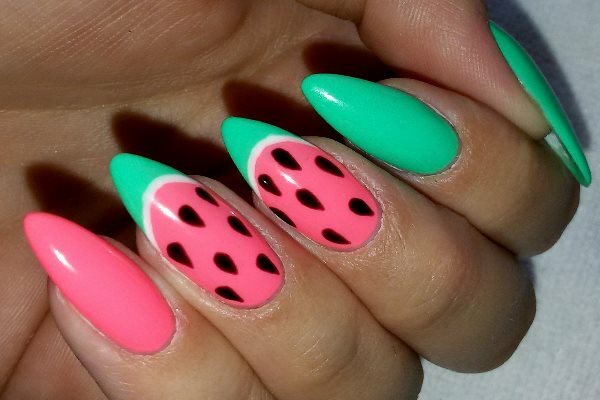 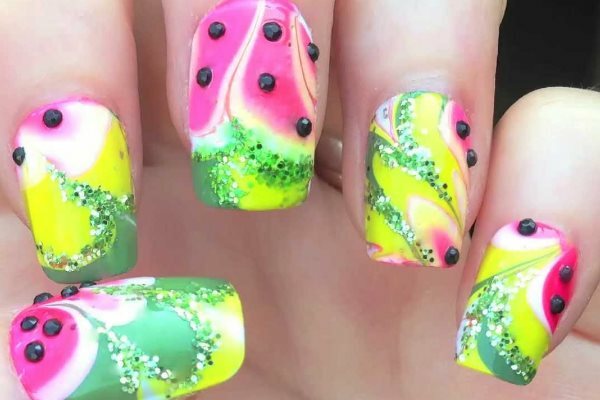 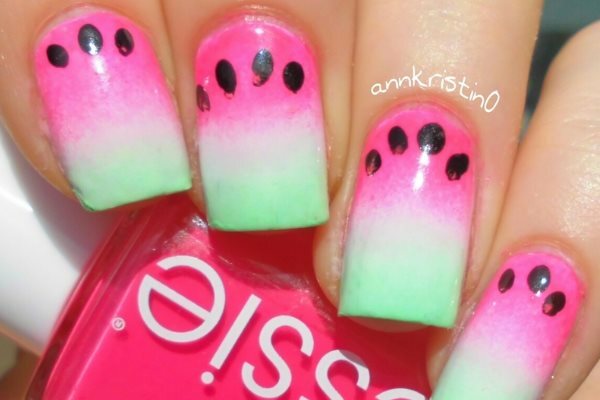 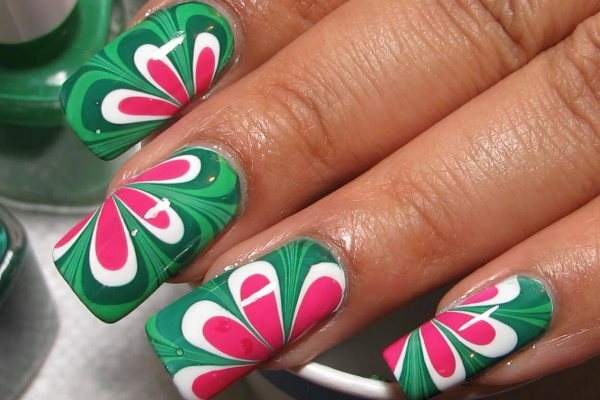 Watermelon nail designs are easily created with some pink, green, white, and black nail polish. 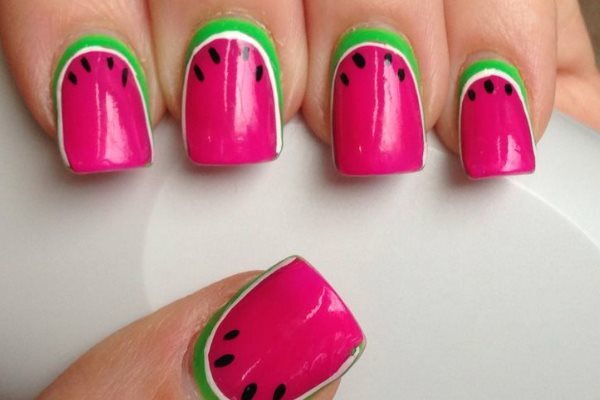 Many watermelon nail designs are super simple to do, and they’re—more often than not—a sure way to get compliments from friends and strangers alike.